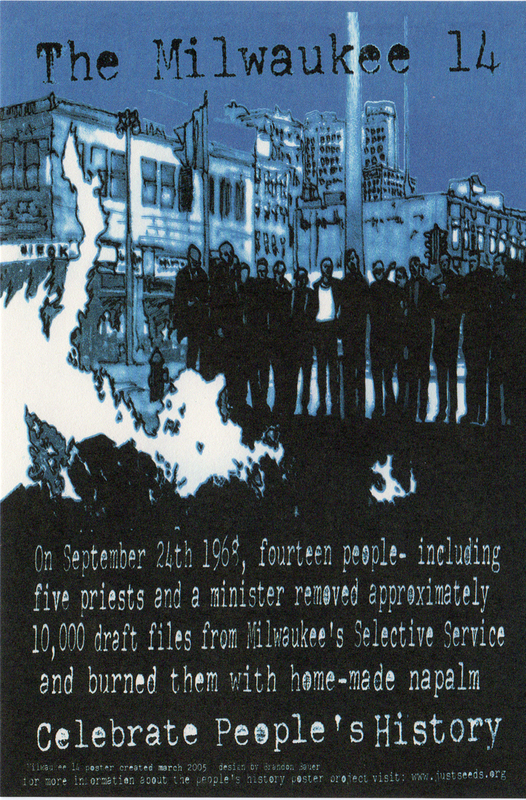 My Milwaukee 14 Celebrate People’s History poster will be included in the CPH Postcard Set #2 put together by Justseeds and Sumptown Printers. 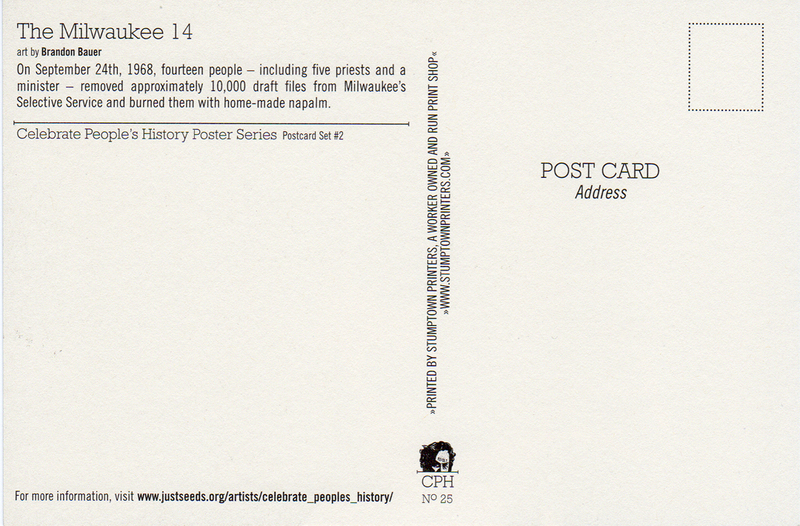 A collaboration between Justseeds and Stumptown Printers, this is a beautiful letter-pressed boxed set of 16 full color offset printed postcard versions of Celebrate People’s History posters originally printed between 2001-2005. Some of the posters reproduced are sold out or extremely limited, like Paul Robeson, The Brotherhood of Sleeping Car Porters and Muhammad Ali. Here’s a complete list of the postcards included: Paul Robeson, Gabriel Dumont, Haymarket, Judi Bari, Mothers of East Los Angeles, the Suicide Club, The Brotherhood of Sleeping Car Porters, Muhammad Ali, the Milwaukee 14, the Great Arizona Mine Strike, Cochabamba, Louise Olivereau, Highlander Folk School, the Silent Majority, Nueva Cancion, and Las Gorras Blancas.